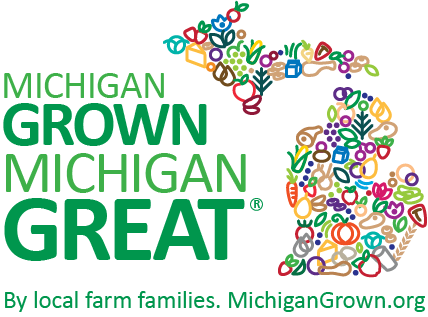 Dexter’s ravioli with marinated beef tips | MICHIGAN GROWN. MICHIGAN GREAT. Pair this recipe with the kale and carrot fritters, from Lauryn Bailey, Dexter Lynch and Hilary Prout. 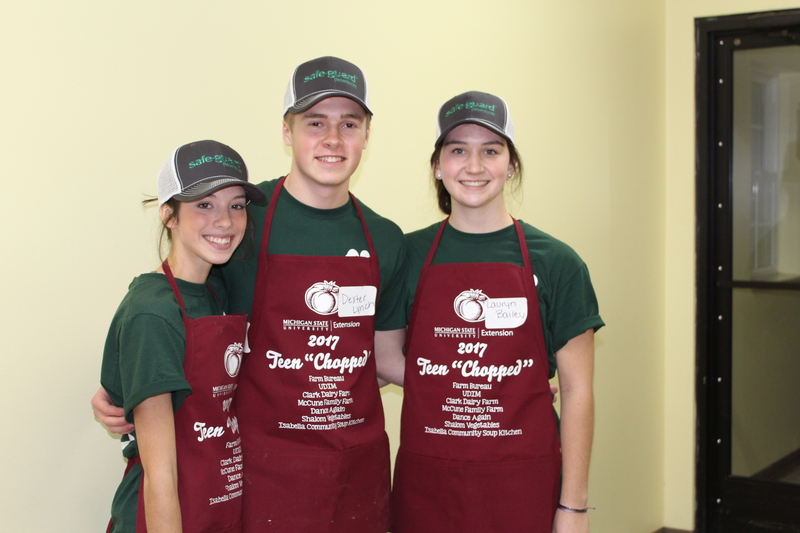 The team prepared these recipes for the Michigan State University Extension/Isabella County Farm Bureau Teen “Chopped” Competition at the Isabella Community Soup Kitchen on November 4, 2017. The team earned the top award for their creations. Measure 2 cups flour and sift into a bowl. Mix the egg yolks with oil and water. Add egg mixture into flour and mix until it starts to come together. Dump out onto floured surface and knead until dough forms a ball. Knead until elastic, wrap in plastic wrap, and set aside for at least 15 minutes. Cut dough into four pieces. Roll out using a rolling pin or kitchen aid mixer attachment until you can see the letters of a newspaper through the sheets. Mix all ingredients for filling. Place ½ tbsp mounds 2 inches apart on one sheet of pasta. Wet the sheet around the mounds with water using a pastry brush or your fingers. Place another sheet of pasta on top and seal around filling. Cut out around the mounds and boil in salted water for 4-5 minutes. Repeat with remaining sheets of pasta. Melt butter and add garlic. Add flour and whisk to combine. Add milk, whisking until smooth. Heat until thickened. Add salt and pepper to taste.